Theories about what was in the Earth’s early atmosphere and how the atmosphere was formed have changed and developed over time. Evidence for the early atmosphere is limited because of the time scale of 4.6 billion years. One theory suggests that during the first billion years of the Earth’s existence there was intense volcanic activity that released gases that formed the early atmosphere and water vapour that condensed to form the oceans. At the start of this period the Earth’s atmosphere may have been like the atmospheres of Mars and Venus today, consisting of mainly carbon dioxide with little or no oxygen gas. Volcanoes also produced nitrogen which gradually built up in the atmosphere and there may have been small proportions of methane and ammonia. Over time the amount of carbon dioxide in the air was reduced. One way was by the gas dissolving in newly formed oceans, forming carbonates. These then precipitated into sediments. Another way that the levels of carbon dioxide decreased was due to the growth of algae and primitive plants that used this carbon dioxide for photosynthesis, which consequently produced oxygen - gradually increasing the amount of oxygen in the atmosphere. Over a few billion years plants evolved and the percentage of oxygen increased to a level that enabled animals to evolve. This nearly killed all other life on the planet, because of how reactive oxygen can be. This is referred to as The Great Oxygenation event. Today's atmosphere is made of mostly nitrogen (~80%), oxygen (~20%), carbon dioxide, water vapour, and argon. Depending on location, the water vapour can change - but the other gases' percentages remain almost constant. 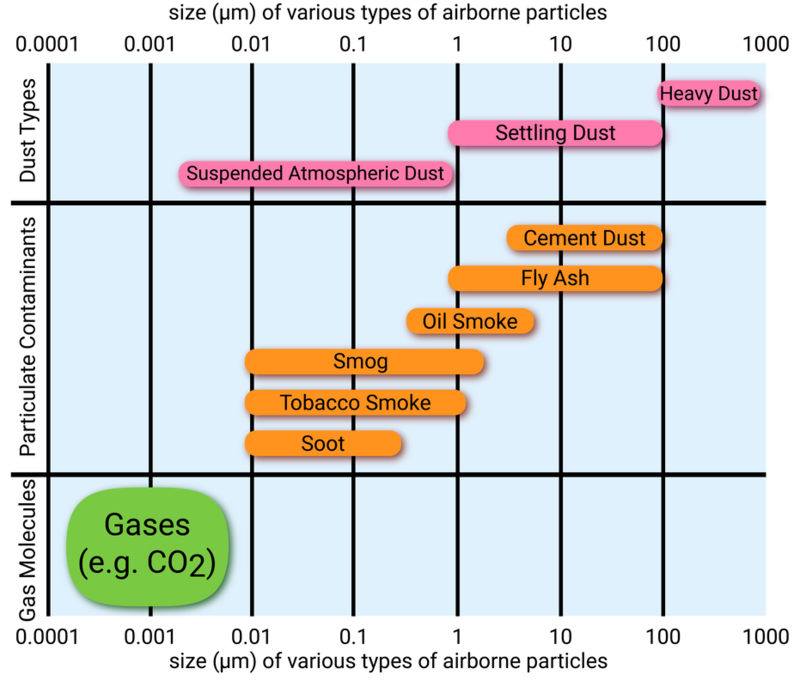 Carbon dioxide was also decreased by the formation of sedimentary rocks and fossil fuels that contain carbon. This causes an increase in temperature. 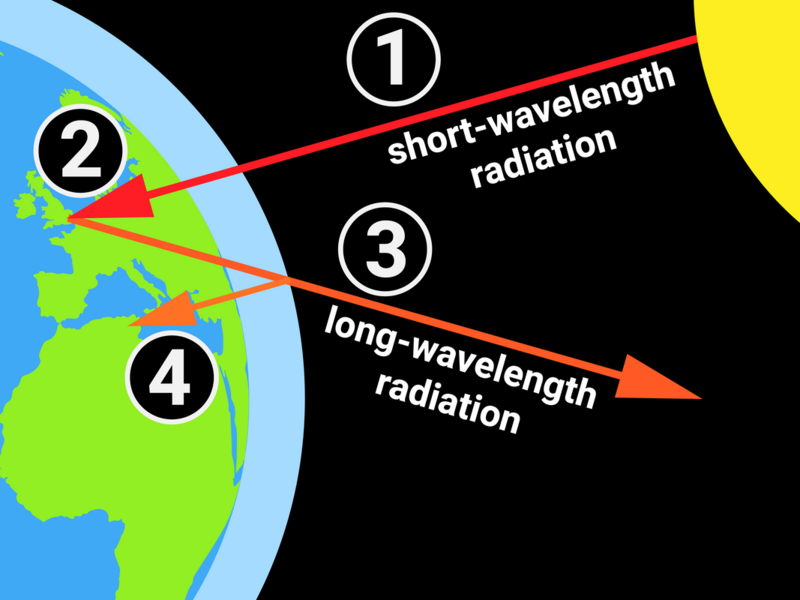 Long wavelength radiation refers to longer wavelength infrared (IR). 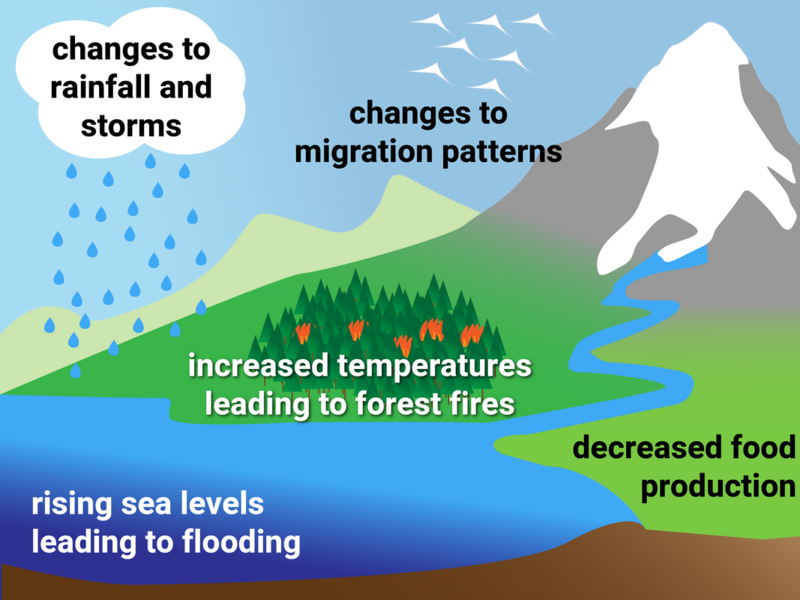 Based on peer-reviewed evidence, many scientists believe that human activities (releasing lots of greenhouse gases) will cause the temperature of the Earth’s atmosphere to increase resulting in global climate change. Modelling this is difficult, because climate change is a complex issue. This leads to simplified models, speculation, and opinions that are expressed in the media that may be based on only parts of the evidence and can be biased. Evidence for historical carbon dioxide levels come from measuring the concentrations of gases trapped in ice cores, the oldest coming from Antartica (with data going back 800,000 years). The oldest temperature records for central England date back to 1659, but cannot be used to assess global temperature changes as they are only from one place. Temperature records from around the world have only existed from about 1880. These measurements were also not very accurate. Methane is a much more powerful (some scientists say up to four times more) greenhouse gas than carbon dioxide, as it is better at absorbing infrared radiation. Methane is the main component of natural gas, and is released into the atmosphere when oil and natural gas are extracted from the ground and then processed. Livestock (mainly cattle) also produce a lot of methane gas because of the bacteria in their stomachs during digestion. There are similar bacteria found in landfill sites, as well as rice fields. An increase in average global temperature is a major cause of climate change. Using renewable energy sources can reduce greenhouse gas emissions, although it may not undo the damage already done. Some people have suggested either collecting carbon dioxide and burying it, or reflecting infrared radiation back into space. Reducing the impact is probably only a temporary fix, but involves building flood defences, dams, and irrigation systems. These will probably destroy habitats, and will not fix the issues - only cover up the symptoms of a much bigger problem. The carbon footprint is the total amount of carbon dioxide and other greenhouse gases emitted over the full life cycle of a product, service or event. scientific disagreement - often you'll see "97% of scientists agree", and often those that deny climate change is due to human activities will cling to the "3%"
money - who's going to pay for all this change? The combustion of fuels is a major source of atmospheric pollutants.